We discuss the theoretical and experimental investigation of acousto-optic dispersive tunable filters, based on quasi-collinear geometry of light–sound interaction in a tellurium dioxide single crystal. The geometry uses the effect of strong acoustic anisotropy in the paratellurite as well as peculiarities of acoustic wave reflections at the free boundary of the crystal. A mathematical concept for determination of optical, electrical, and constructional parameters of the filters is developed. 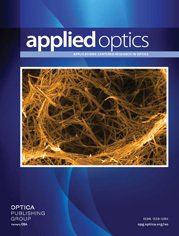 Different experimental acousto-optic filters intended for femtosecond pulse shaping are designed and tested. Preliminary experiments are performed in a subpetawatt optical parametric chirped pulse amplification laser system. The experimental data conform completely with the predicted data.